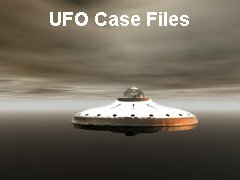 A sighting of a UFO occurred in the 1960s in India. One of my friend's grandfather had (recently passed away) witnessed the incident. He stated that a total of three villages (Hamlets) witnessed the incident. The total number of witnesses to the incident is around 800-1000. It is documented at some sites on the Internet. Ijapada Chatterjee was working in his office at the mica mine outside Manbhum that day (he was the manager) when he heard the miners shouting. Rushing outdoors, Chatterjee "watched a saucer-shaped object descend to an altitude of about 500 feet. The UFO hovered, then soared upwards at terrific speed, causing a tremendous gust of wind." "The object was seen over a mine which has supplied berylium for the U.S. Atomic Energy Commission."